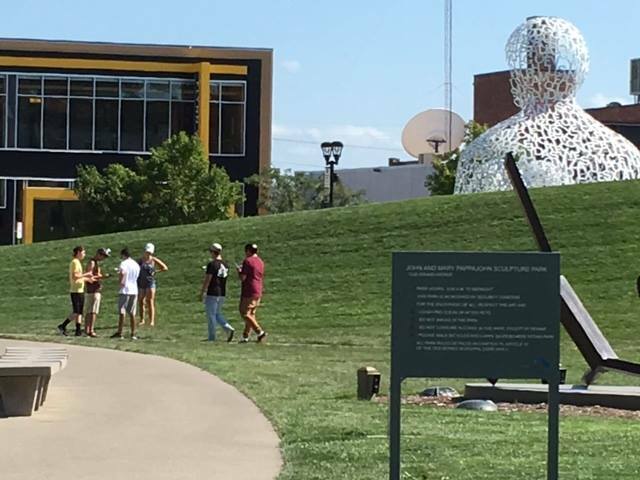 The Des Moines Police Department posted this image on its Facebook page of kids playing the game in the city’s sculpture park. 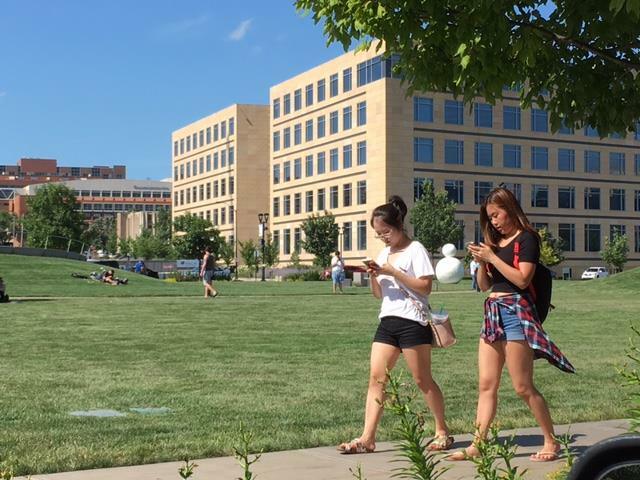 Several lowa police departments are warning players of the smartphone game Pokémon Go to be aware of their surroundings for hazards including muggers and traffic. The video game is fast-becoming one of the world’s most-downloaded apps, but Jim Hegarty, at the Better Business Bureau office in Omaha-Council Bluffs, says crooks have already found a way to rip you off. “There’s a malware version of this,” Hegarty says. “Make sure you go to your actual app store to get the legitimate game. Do not try to download the game from a link you’ve received through an email or by text message. Those versions are the ones that contain the malware that can do all kinds of nasty stuff to you.” That “nasty stuff” may include locking up your mobile device or stealing your personal financial information. The app is free to download but players might be tempted to click on some of the extras, which aren’t free. The game uses AR, or “augmented reality,” where you switch on your phone’s camera, look at your screen and see virtual creatures which you’re trying to “catch” superimposed over the real world view.